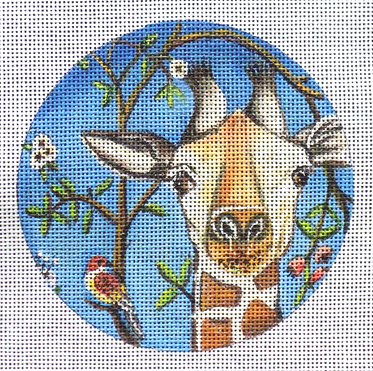 A contemporary Curious Giraffe needlepoint round by Catherine Nolin for Unique NZ Designs that can be made into an ornament. If you select threads we will send DMC cotton floss or Planet Earth Pepperpot silks. Make your selection from the drop down menu.